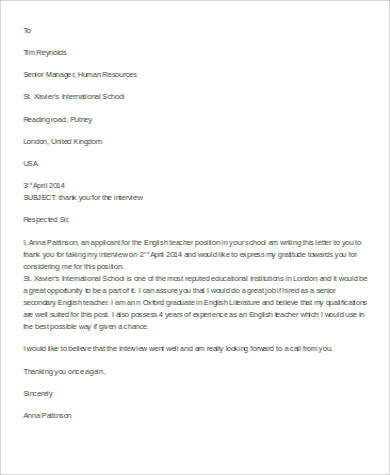 A thank-you letter sent after an interview might just increase your chances of getting short-listed for a position. It shows that you are interested in getting the job and that you appreciate the opportunity given when you were invited for an interview. It also gives the impression that you are willing to do extra steps to reach your goals. Thank-you letters after an interview show your enthusiasm for the available position and it allows you to remind the recruiter that you are the right person for the job. 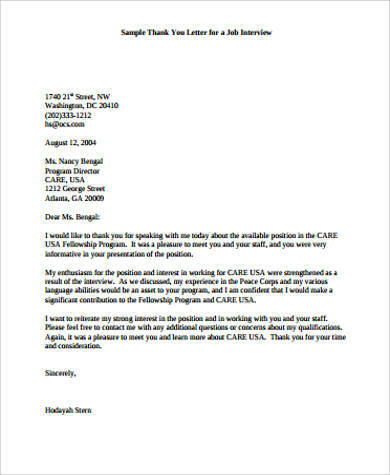 These Sample Letters will give you great examples of thank-you letters that you can send after your interview. Writing a thank-you letter after an interview is best given within 24 hours after your interview where details about it are still fresh in your head. It is always a good idea to send your letters promptly. Always start by thanking the person who interviewed you. 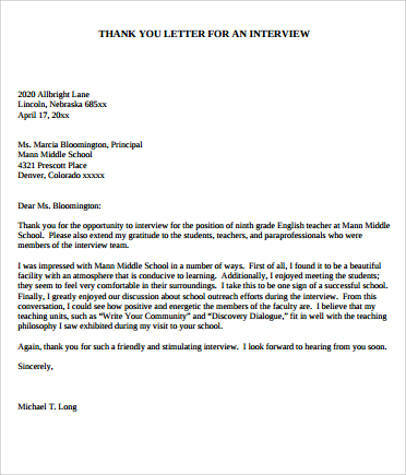 If you were interviewed by multiple people, send each one a letter of thanks. State your opinion about the interview and the memorable moments about it. Do a recap of the skills and qualifications that you have. Thank-you letters are more than just an expression of gratitude. 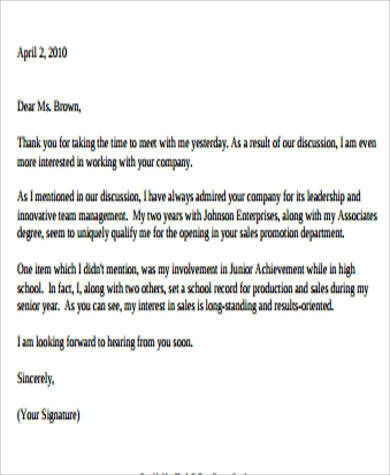 Your thank-you letter serves as another opportunity for you to put yourself in the spotlight and sell yourself as a candidate worthy of getting the position. It is a good way to reiterate your skills and qualifications. It also gives you the chance to mention important points you may have missed. 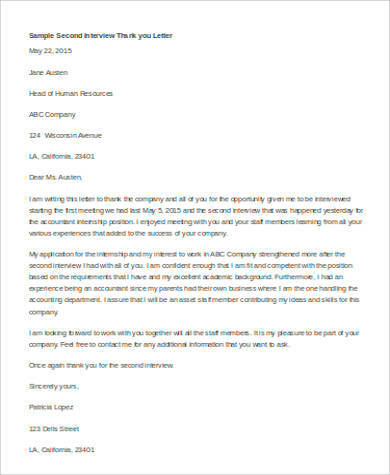 You may also see Job Interview Thank You Lettersand Thank You Letters After an Interviewfor more ideas about sending thank-you letters related to your job search. Thank-you letters basically show that you are a person who is great when it comes to communication. 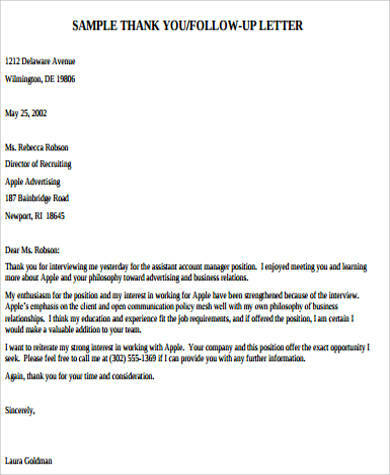 A good thank-you letter can help recruiters remember you in terms of short-listing candidates that they view worthy for a position. It is a strategy that you can use in order to land more job offers. Even if you feel like you did not do well during your interview, it can be a method to redeem yourself and answer questions you may have missed to answer eloquently. In any case a recruiter takes too long in giving a response, there is no need to worry. Recruiters are busy with their duties just as you are busy searching for a job. 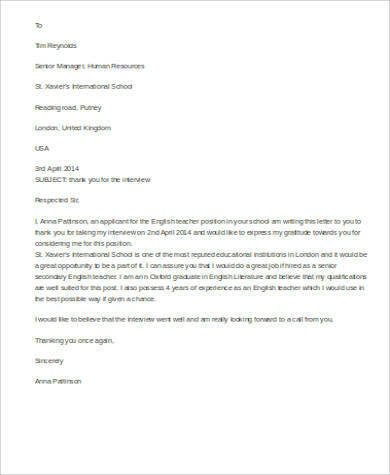 Remember that eagerness is a great attitude to let them know that you really want the job but do not send a follow-up letter every single day. Let a few days pass by before sending a follow-up note just to ask how things are going. 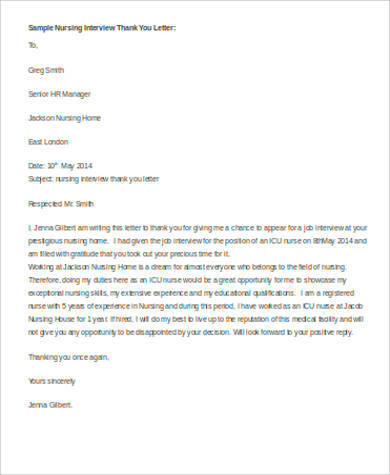 Thank-you letters do not have to be long. Simplicity is best, and these templates showcase that. 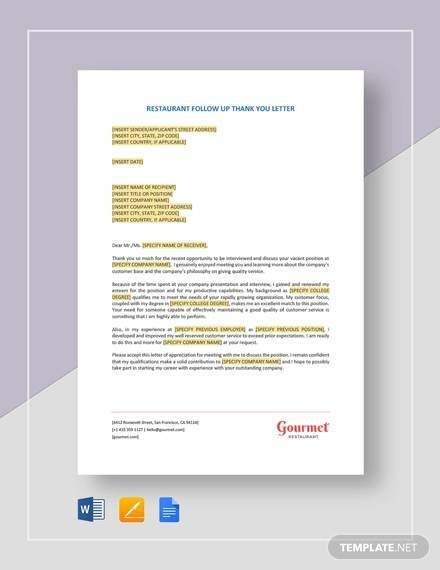 These can help you create thank-you letters that are sure to wow the recruiter of your target company. With easy to edit formats, you can effortlessly substitute a few words to suit the position you applied for.